Ever since Evangeline Lilly wowed us all on as Kate Austen on LOST, she has been lighting up the screen in Hollywood. She is part of some of the biggest franchises in history, being part of the Tolkien-verse and the Marvel Cinematic Universe. Lilly has a unique quality of playing both tragic and even a bit snarky. She has a way of giving the camera a sly smile, or a flutter of eyes, that tells the audience that she always has something up her sleeve. We will see her next, returning as Hope Van Dyne in The Avengers: Endgame in 2019. For now, here are the five best roles so far in Evangeline Lilly’s young career. Kate Austen is where it all started for Evangeline Lilly. Sure she showed up here and there on Smallville and had a few other insignificant roles, but it was on LOST where the world perked up and took notice of her. She was hands down the strongest female character on the show. She was possibly one of the strongest female characters on all of television at that time. Off the Island, Kate Austen was a woman who protected her mother by killing her father, leading to a fugitive, criminal lifestyle. It led her to be on Oceanic Flight 815 as an escorted prisoner. On the Island, luckily for Evangeline Lilly, Kate was not designated for eye candy. Kate was a survivalist who didn’t need the men on the island to take care of her. Even so, her love triangle with Matthew Fox’s Jack Shephard and Josh Holloway’s Sawyer was one of the best on TV during the 2000s. Everyone was looking for explanations about the LOST mythology and the Dharma Initiative. However, many just wanted to know how Kate Austen’s relationship with Jack and/or Sawyer would turn out. Evangeline Lilly killed it on that show. Real Steel is a 2011 science-fiction movie where humanoid robots have replaced humans in the boxing ring. This situation is perfect for a man and his estranged son to become close again. Why not? It worked with arm wrestling in Over the Top. Still, the movie stars Hugh Jackman, so it has that going for him. He is Charlie, a former boxer who restores a famous boxing robot that will obey his physical commands. On the periphery of the father/son themes is Evangeline Lilly’s Bailey Tallet. Bailey is Charlie’s old flame and the daughter of Charlie’s old boxing coach. 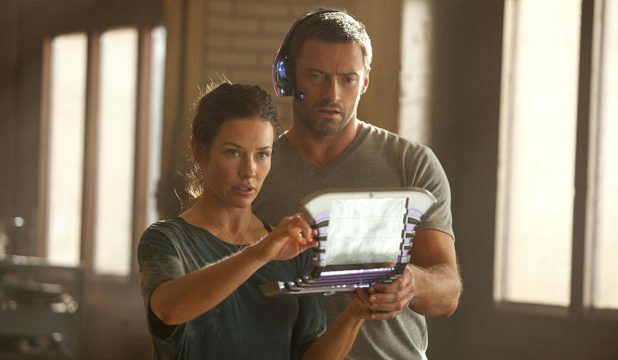 Sure, Real Steel does not quite pass the Bechdel test, but Evangeline Lilly brightens up every scene she is in. Evangeline Lilly can do straight comedy as well. She starred as Samantha Bloom in the 2017 Netflix film, Little Evil. The film is directed by Tucker and Dale Vs. Evil helmer, Eli Craig, so you know it is funny. The film is essentially a comic take on The Omen. 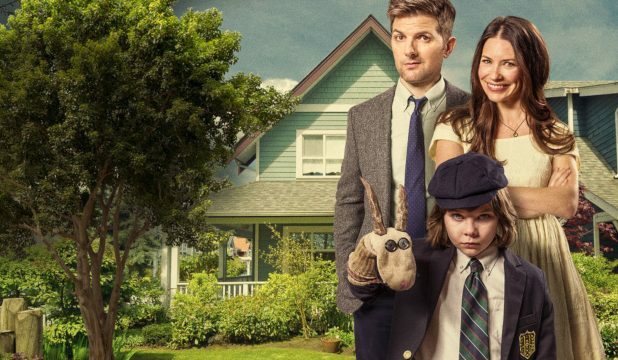 Adam Scott plays Gary Bloom, Samantha’s new husband who is out to bond with his new stepson, Lucas. The film unfolds with the usual Omen fare with Lucas killing people and Gary fearing for his life. Evangeline Lilly delightfully plays Samantha as a loving, naive mother. She thinks Lucas can do no wrong and that despite all of the evidence, thinks her son is nothing but an angel. Even the fact that all of Samantha’s previous relationships ended in death and tragedy is enough to convince her. If one single thing about J.R.R. Tolkien’s universe can be criticized, it was his lack of strong female characters. Peter Jackson was conscious of this in his original Lord of the Rings trilogy. Thus, he beefed up the roles of Arwen and Eowyn. When the time came for The Hobbit movies, there were no female characters to be seen. So Jackson gave Galadriel some stuff to do and created the character of Tauriel for Evangeline Lilly. Every time Tauriel is on screen, there is a refreshing atmosphere that just doesn’t exist at any other time during the trilogy. Sure, the romantic stuff between her, Legolas, and Kili are a bit forced. But when she dons her bow and Elvish swords, she puts Legolas to shame. Legolas is a cartoon character, doing increasingly ridiculous acrobatics during his bow-play. Tauriel is a fierce warrior who is trying to find her way in her Patriarchal Elvish society. 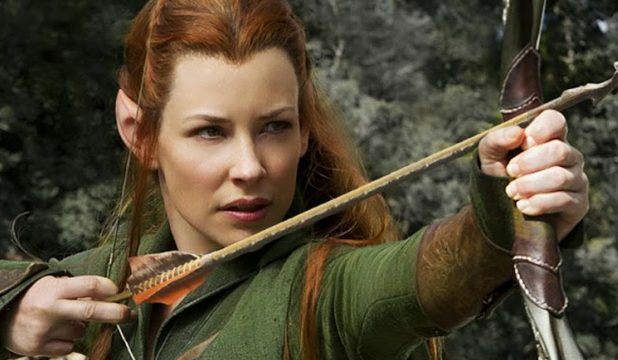 Evangeline Lilly’s portrayal of Tauriel is truly one of the best things to take away from The Hobbit franchise. When Peyton Reed’s Ant-Man entered the Marvel Cinematic Universe in 2015, it was certainly the Paul Rudd show. 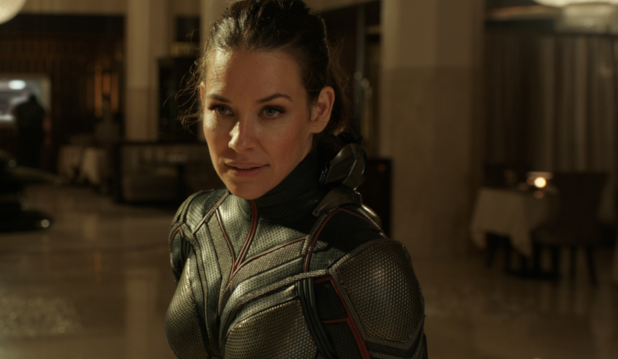 Evangeline Lilly portrayed Hope Van Dyne, the perfectly capable daughter of genius Hank Pym (Michael Douglas). Throughout the entire film, Hope is trying to prove her worth to her father, her superiority to Scott Lang, and her usefulness to anyone who would listen. It is a bit ironic because you can imagine Evangeline Lilly, the actress, yelling out the same sentiments. Still, she is simply background dressing in Ant-Man. However, in 2018’s Ant-Man and the Wasp, she skyrockets into Co-lead status donning the Wasp suit. With the ability to fly and equipped with blasters, she effectively tells the world that she may well be more suited to be on the Avengers than Scott Lang is. Firstly, Hope is brilliant enough to assist her father in creating a tunnel to the Quantum realm. Secondly, we see how dangerous she can be when arms dealer Sonny Burch (Walton Goggins) double-crosses her. Evangeline was missed in Avengers: Infinity War. Here’s to possibly seeing Hope hold her own next year in The Avengers: Endgame.